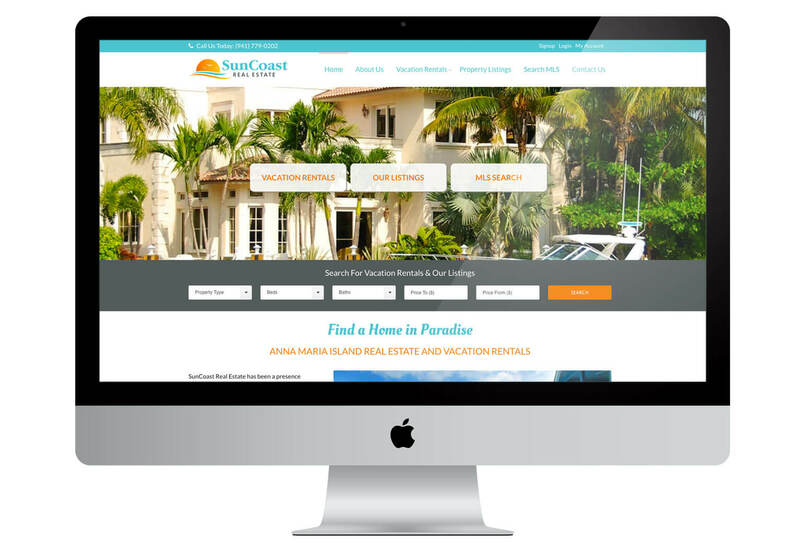 SunCoast Real Estate, located on Anna Maria Island, needed a whole new redesign of their previous website which did not have MLS built in and was not responsive / mobile friendly. So we built them a more modern, full featured responsive WordPress website integrating an MLS for property searches. Users may view the company’s listings, vacation rentals and easily do a MLS search. Since SunCoast’s new website is built upon WordPress, the flexible and most popular Content Management System, they can easily update and manage their new website. SunCoast also wanted to show off their past reviews, so we incorporated sliding testimonials into their website. In addition, we provided our local and advanced Search Engine Optimization services.